Clement completed a Master of Taxation Studies (Hons) at the University of Auckland. 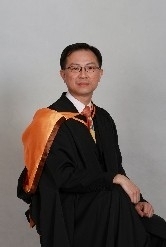 He is also a CPA (Hong Kong) and a CA (practising) member of the New Zealand Institute of Chartered Accountants. He holds a full licence (200800562) to operate as an immigration adviser in New Zealand. Clement has been admitted to PhD study in Taxation at the University of Canterbury in New Zealand. Sammy is a Fellow CPA (Hong Kong) and has also completed a PhD. He is the Deputy Chairman of a publicly-listed company in Hong Kong (Golik Holdings Limited: Hong Kong Stock Code 1118).